Sounds strange, coming from me, is it? I am someone who is unwilling to devote too much time in the kitchen and would prefer doing all other housework other than the regular day to day cooking. I am fairly good at preparing certain dishes and take interest in trying out new recipes, but it has to fulfil the sole criteria of requiring optimal time and effort. Say what we may, do whatever we want, our kitchens are the most important part in our homes. Especially for me, because my day begins from there – from the very first glass of water in the morning to checking the gas connection for the last time at night. Nowadays, modular kitchens have become popular as our utensils and related accessories can be stored in a neat and organized fashion. Dining spaces are often an extension of the cooking space – so that food can be served hot. 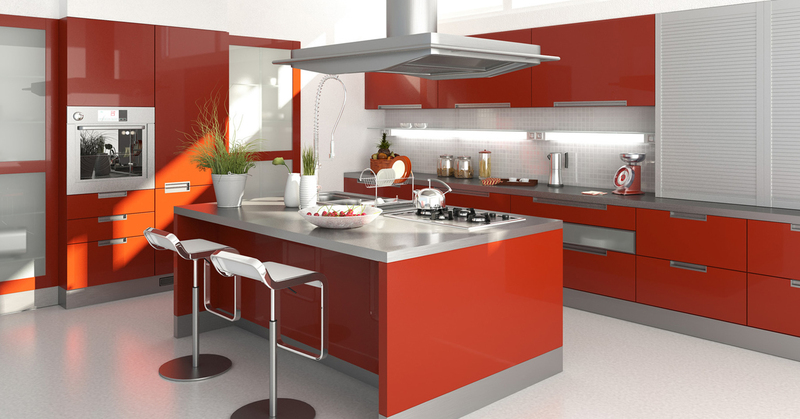 Even new colour schemes have changed the way kitchens integrate themselves with rest of the apartment. We have a fairly large kitchen in our home. There is plenty of cabinet and counter space which makes for greater efficiency. To me, a large kitchen is a must when preparing sizable meals. I have only ever had a tiny kitchen. At times wished for a large spacious one, but have grown to love how convienent my little one is and how cozy it feels when filled with friends. I'm partial to a large eat in kitchen, myself and have spent a lot of time in the kitchen with the family. Ours is not very modern, but much loved. It is important to me that the cooking and preparation and food storage areas are conveniently placed to save on steps and movement while cooking. A lot of thought goes into where I store each item in my kitchen whenever we have moved. Now I am the other way round. I like cooking but I hate doing housework. Unfortunately in this apartment I have a very small kitchen - I love the look of the one in your picture. Kitchens are the heart of a home. They've certainly changed in style over the years. I do like the idea of breakfast bars where you can eat while chatting to the cook.